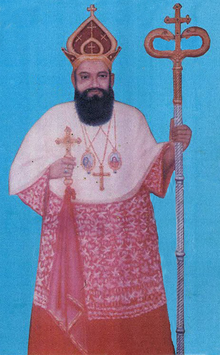 Punnathra Mar Dionysious was the 11th Marthoma of Malankara Church. He encouraged Anglican Missionary Benjamin Bailey to translate the Bible and helped Norton to spread the Word. During the time of Punnathara Mar Dionysious the relation with Travancore and Cochin was very cordial. The Ruler of Travancore Rani Gouri Parvathi Bhai, gave a number of privileges to the Seminary. For the first time in Travancore in 1818, Maha Rani appointed a number Christians as Judges.He passed away on May 17, 1825 and was laid to rest at Kottayam Cheriapally. Dr. Philipose Mar Theophilose was long time vicar of Cheriappally. He was the former metropolitan of Bombay and Ankamaly dioceses and served as the president of MGOCSM for more than 30 years. His Grace was known as the Ambassador of Malankara Church and served our church in different capacities such as Old Seminari Principal, Inter church relation committee chairman etc. His Grace was a man of definite vision, mission and commitment. He was the metropolitan of Ankamali and Bombay dioceses of Malankara Sabha. He was the principal and modern architecht of the church. He served as president of MGOCSM and was a founder member of world council of churches. While he served as Vicar of Cheriapally, he took initiative in revamping the church. He tried his best to uplift the standard of the poor. He started two schools St. Thomas school in Puthenagadi and St. John’s High school Ellikkal under the auspicious of the Chriapally and also acquired other properties for the church. He was entombed in Thirkunnathu seminary Alway on 28 sep.1997. Abo Yuhanon (1965-1978) served as superior of bethany asram. He was known as a great retreat father of his times. Had his primary studies at CMS school chalukunnu kottayam and CMS college kottayam . 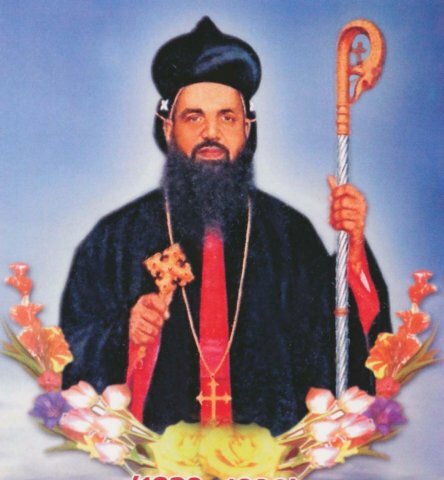 Later become a lecturer in a college, resigned the job and joined Bethany Baselios Mar Thoma I Mathews Catholicos of the East consecrated him as Youhanon Mar Athanasios at Pazhanji Church on 15 May 1978.along with five others and was the youngest of all the bishops at that time. He became the assistant Metropolitan of Kottayam diocese. 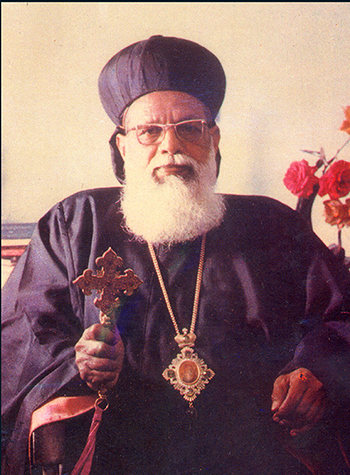 He entered his eternal abode on 12 October 1980..Mar Athanasios Episcopa was laid to rest at Perunad. Bethany Since he was a member of the Ashram , Ranni –Perunad. Copyright © 2015 St. Mary's Orthodox Syrian Church, Kottayam, All Rights Reserved.